Dan is a current undergrad student at Indiana University who is pursing a degree in Sport Marketing and Management. He plans to graduate in 2019. Dan has held other intern positions with the Texas Rangers, FC Dallas, and the Indianapolis Colts. Brock graduated from Indiana University in 2017 with a degree in Sport Marketing and Management and a Kelley Business Foundations Certificate. 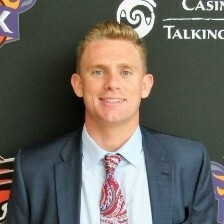 Brock is currently working as an Account Executive of Group Sales for the Phoenix Suns. Austin is a current junior at Indiana University who is pursing a degree in Sport Marketing and Management with Minors in Coaching and Business. Austin spends his time working as a Junior Varsity Baseball Coach at Edgewood High School. Nick is a current Indiana University student who is pursing a degree in Sport Marketing and Management. He plans to graduate in 2018 and has held multiple positions with the Evansville Otters, Indianapolis Colts, and Charlotte Hornets. Erin is currently an undergrad student at Indiana University pursing a degree in Communication and Media Studies. Erin currently works as a Photographer for the IU Center of Excellence for Women in Technology and as a PR Manager and Photographer for Spoon University. Seth is currently an undergrad student at Indiana University pursing a degree in Sport Marketing and Management. Seth plans to graduate in 2018. Seth has held multiple positions with the Indianapolis Indians and the Indiana University Athletics Department. Austin graduated in 2017 with a degree in Sport Marketing and Management from Indiana University. 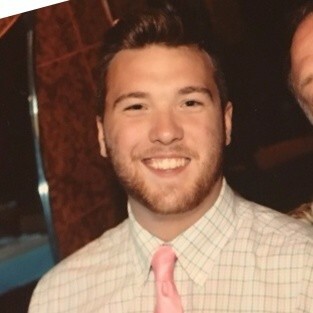 Austin now currently works as a National Account Manager for Coyote Logistics. Isaac is a current undergrad student at Indiana University who is pursing a degree from the Kelley School of Business. Isaac plans to graduate in 2019. Isaac will also spend the upcoming summer working as a Summer Intern at Dish Network. Kayla is currently a junior at Indiana University double majoring in Finance and Real Estate through the Kelley School of Business. She is an incoming Finance Development Intern at Whirlpool Corporation for Summer 2018. Paige graduated from Indiana University in 2017 with a degree in Sport Marketing and Management with a minor in Business. During her time at IU she spent her time as part of the Women’s golf team. Paige is now currently working as an Account Trainee: LPGA for Octagon.